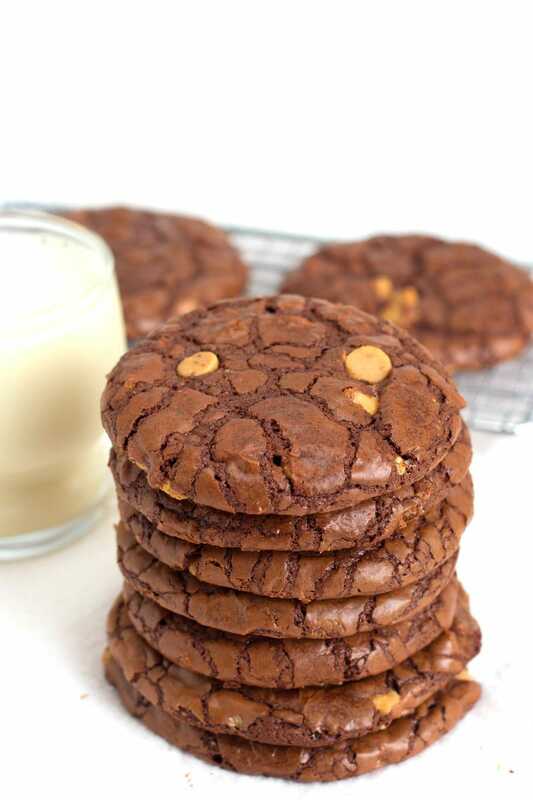 These Chocolate Wows are a delicious chocolate cookie recipe packed with plenty of peanut butter chips. Watch the video showing you how to make this recipe, then scroll to the bottom of this post to print out the recipe to make at home. 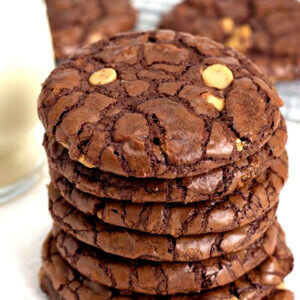 You’ll find that these chocolate cookies crackle perfectly during baking and stay nice and tender and gooey inside. 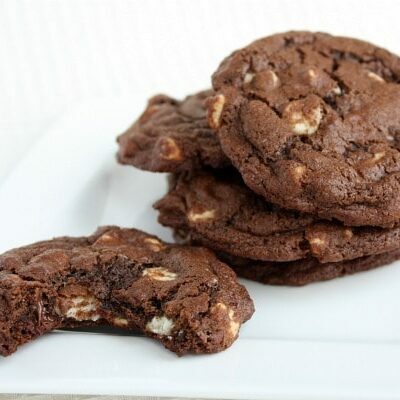 They’re my favorite chocolate cookie recipe to make and surprise others with. 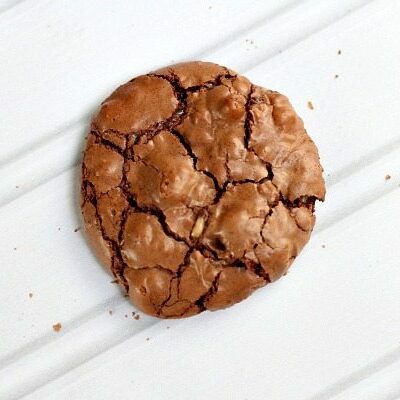 One bite, and everyone falls in love with these Chocolate Wows! They freeze well, so be sure to plan for that and double the recipe if you wish. For school lunches, I like to store two in individual zip baggies and then just take them out each morning and add them to lunches. It’s also a nice way to portion control if you happen to get an overwhelming chocolate craving that has to be fulfilled! 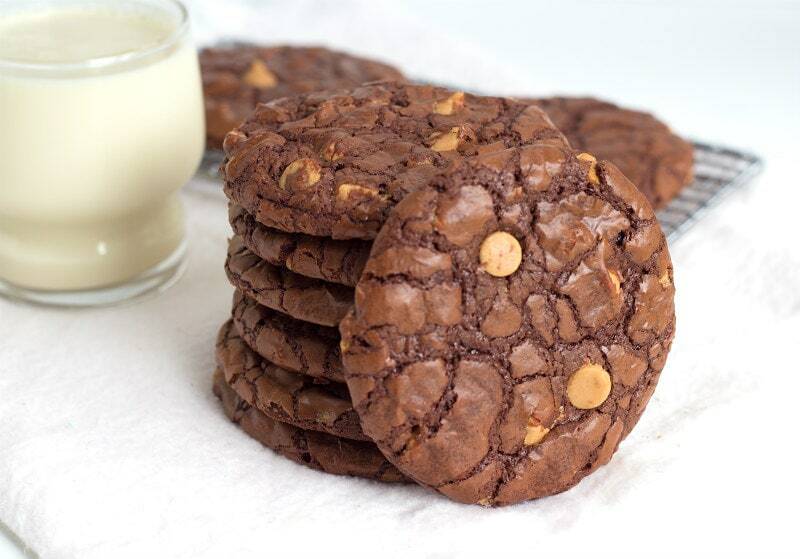 If you want super duper chocolatey cookies (or if there’s a peanut allergy in your home), you can always sub regular chocolate chips for the peanut butter chips. Make them the way you like them! What’s the best kind of semisweet chocolate to use? 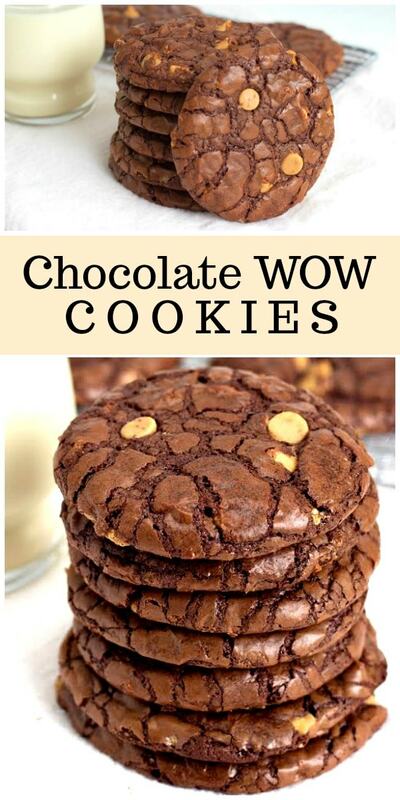 I would buy a bar of the semisweet baking chocolate to use for this recipe. 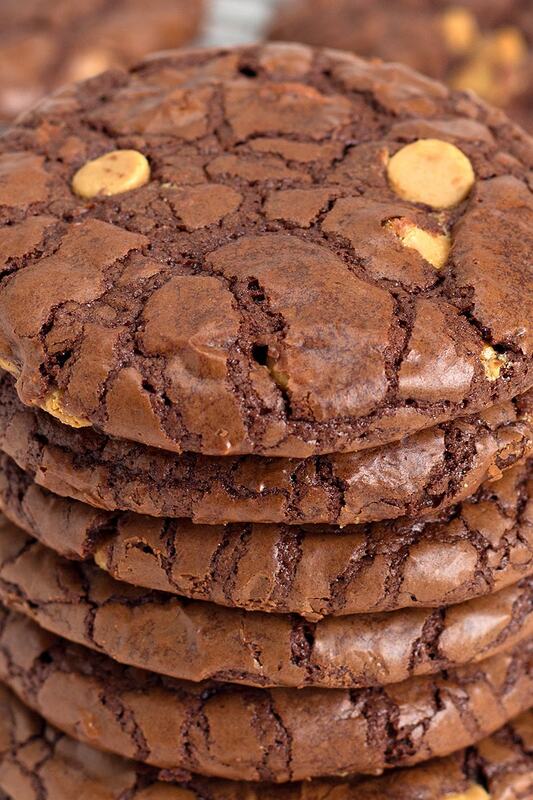 You’ll find it in the baking aisle, near the chocolate chips. It’s sold in a box. It’s really easy to chop- just place it on a cutting board and use a sharp knife to roughly chop it into smaller pieces so it will melt more easily in the pan with the butter. 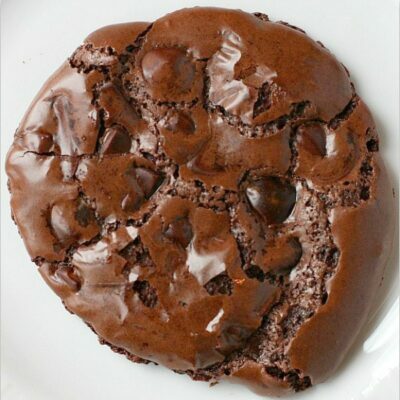 If you’re looking for more cookie recipes to bake, try these Jumbo Chocolate Chip Cookies, Malted Dark Chocolate Chip Cookies or S’mores Chocolate Chip Cookies. 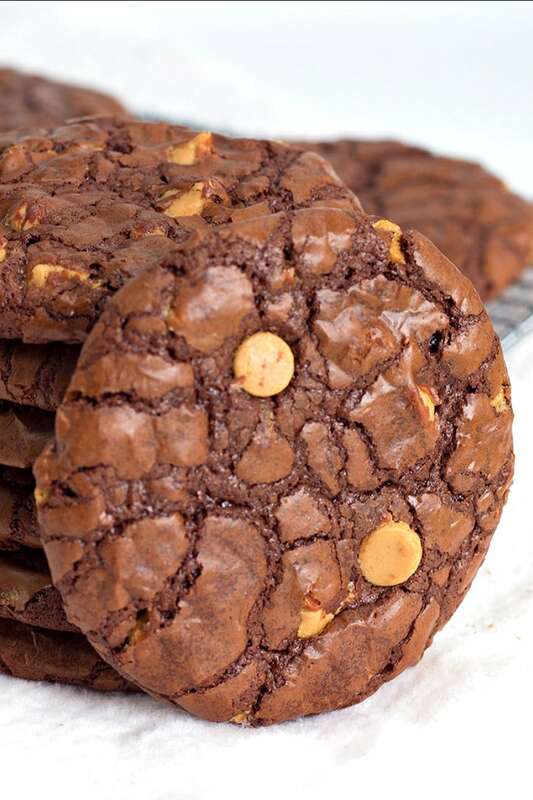 These cookies are super chocolatey and packed with peanut butter chips! 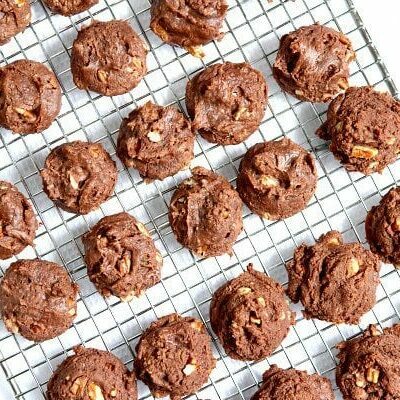 Preheat the oven to 325 degrees F. Spray cookie sheets with nonstick spray, or line with parchment paper. In a 2-quart saucepan over low heat, melt the chocolate and butter, stirring occasionally. Remove from heat and set aside to cool. In a large bowl mixing at medium speed, beat the eggs and sugar until light and lemon-colored (about 2 minutes), frequently scraping the bowl with a rubber spatula. Reduce the speed to low; add the chocolate mixture, flour, cocoa, baking powder, vanilla and salt; beat just until blended. Increase speed to medium; beat 2 minutes. Stir in the peanut butter chips. Drop by teaspoonfuls onto cooking sheet. Dot a few more peanut butter chips on top, if you'd like. Bake 12 to 15 minutes, or until cookies are set. Let cool on baking sheet for about 10 minutes, or until they are firm enough to transfer to a wire rack to cool completely.